← What’s gender go to do with the viable economy? Remember when politicians in the UK wouldn’t risk arguing strongly against austerity? That changed with the June General Election but there are still things that appear to be “unsayable” in polite political company. One of those is to suggest that the goal of so called economic “growth” should be abandoned. You can’t say that: political death! Not so for the independent republican left group CUP (Popular Unity List) that today launched a debate on degrowth in the Parliament of Catalonia, the region known for innovative, progressive politics as well as for a contentious debate about independence from Spain. There follows a translation (from Spanish) of an interview with Sergi Saladié, spokesperson for the CUP group, from the website 15-15-15. The population of Catalonia is about 2.5 times that of Greater Manchester, a little larger than the North West of England. If with possible independence or increased autonomy, Catalonia were to pursue degrowth, then the kind of regional policies we have been promoting would be relevant there too (and we have also learned from innovations there, not least from what the Barcelona in Common city government is attempting). Degrowth to be discussed in the Catalonian Parliament. An interview with Sergi Saladié, parliamentary member Popular Unity List – Consitituent Call. 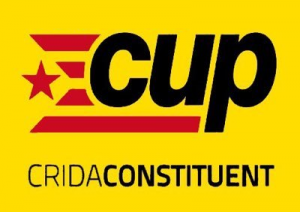 In the Plenary Assembly1 of 7th September, the CUP will address the Catalan Government, specifically the Vice President, minister for the economy and the treasury, Oriol Junqueras, about the limits to growth and the need to assume the tenets of the degrowth movement for resilience. At the same time the independent left group will present a motion which could open the way to abandoning economic growth in the country as it sets out to secede from the Spanish state. The magazine 15/15/15 interviewed Sergi Saladié, the member of parliament who will present these initiatives tomorrow. 15/15/15: Sergi, explain to us what exactly it is that will be presented tomorrow by your grouping in the Plenary of Parliament. Saladié: Technically we will introduce an interpellation2 to the Government, specifically to the Vice President and Minister for the economy and treasury, Oril Junqueras. We will set out the need to push for and specify public policies for degrowth as well as a series of proposals the Government could begin to enact. Saladié: We do not know about other similar initiatives3. Initially as a political organisation (CUP) and especially as a parliamentary group (CUP-Crida Consituent) we had proposed to introduce a Law of Degrowth in the Catalonian parliament, even knowing with some certainty that we would not have the necessary support to see it through. The basic idea was to open the debate about degrowth in the Catalonian Parliament and thereby also in Catalan politics. Because of the political situation and the legislative calendar , along with the call for a referendum for October 1, we have had to opt for a more flexible instrument, like an interpellation. Saladié: In the interpellation we will set out our arguments for the need to advance and realise degrowth in our society, and listen to the position of the government. The realisation of possible achievements will be through the subsequent motion that will be debated in the next parliamentary session. In that motion we will present a set of minimum demands where we will call on the government to create an intergovernmental and cross-sectoral commission of experts in degrowth, and the introduction of the debate on degrowth into the future Catalan constituent process. 15/15/15: I believe that many people, both inside and outside Catalonia, will be shocked that, at this moment, in the middle of the maelstrom of the process towards independence, with the referendum imminent, your group introduces this issue, that is not exactly an easy question. How do you relate it to the independence process and why have you chosen to present it at this historical moment? Saladié: Our organisation sees the process toward the independence of Catalonia as an opportunity for a break with a political regime, yes, but above all as a path that opens up opportunities for social, economic and political transformation that allows the achievement of an authentic sovereignty, especially in those fundamentals for the development of life, such as energy and food. And we understand that degrowth is an indispensable route for reaching sovereignty in these things. 15/15/15: We assume that it is valid to interpret the degrowth position as already dominant in your group. Has it been a difficult internal debate? What can you tell us about the process that has put the CUP in the vanguard, if you’ll permit that expression, of the renovation, in degrowth terms of the left in this part of the world? Saladié: Don’t make assumptions so quickly (laughter). The debate in the heart of the organisation has just begun, starting from the subgroup on energy and degrowth that took a proposal to the parliamentary group, and this group thought it opportune to give it political space. In parallel, this subgroup promoted a debate about degrowth in the CUP summer school last July. The internal debate has just begun, and that’s why the motion can be an element that also helps develop this internal debate. 15/15/15: You know the famous phrase of Juan Carlos Monedero [academic and former leading member of Podemos – SSM], that reflects not only the position quietly assumed by Podemos but also that of the majority of the Spanish left, that “talking about degrowth isn’t how elections are won”. The CUP doesn’t appear to fear a cost in electoral terms from the steps it is taking, positioning itself not only as an anticapitalist grouping but also now as “degrowthers”. Is that so? Saladié: The CUP isn’t guided by criteria of electability and indeed we always express our political positions without sophistry [or what in the UK is called “triangulation”]. So our organisation isn’t afraid to speak publicly about degrowth and initiate an open debate in Parliament. The other thing is that the CUP already is seen as a degrowth organisation. Linking with the previous question, the CUP still hasn’t agreed to position itself as “degrowthist” in any of its internal decision-making bodies. We expect that the ongoing work of the working group on energy and degrowth will allow the introduction of the debate within the organisation and that it will be able to position itself as degrowthist in the near future. 15/15/15: The eyes of a good part of the left, not just the degrowthist current, but that which still bases its policies on economic growth, and not just from within Spain, are tomorrow on the Catalan parliament. Are you going to publish the documents that you will present? Will it be possible to follow your intervention and the subsequent debate? Saladié: Yes, the idea is to put the documents from the interpellation not only on the website of CUP but also on diverse degrowth sites. As the plenary assembly is expected to be complicated by dealing with various laws relating to the referendum, the order of the day will be altered. Even so, through the Catalonian Parliament website it will be possible to follow the interpellation live (here, for those that can follow Catalan: https://www.parlament.cat/web/canal-parlament/sequencia/videos/index.html?p_cp1=8102705&p_cp3=8105387 ). This entry was posted in degrowth, Politics and tagged Catalonia, CUP, degrowth, economic growth, Parliament, policy, Spain. Bookmark the permalink.